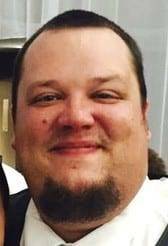 Christopher “Supe” M. Beals, 31 of Pioneer passed away Monday evening surrounded by his loved ones at the University of Toledo Medical Center. He was born on August 11, 1987 in Bryan to Mark Alan and Jennifer Lynn (Bickham) Beals. Chris graduated from North Central High School in 2006 and then Northwest State Community College. He was a member of the Montpelier Moose and the NRA. In his spare time, he loved to coach baseball, umpire baseball games and hunt. Chris is survived by his mother Jennifer Beals of Pioneer; brothers Andy (Jodi) Beals of Edgerton and Jason (Erin) Beals of Bryan; nephews Evan and Owen Beals; maternal grandmother Marilyn Jane Bickham of Olathe, Kansas; paternal grandmother Marilyn Osborn of Montpelier; special cousin Brandon Bickham of Clinton, Wisconsin; loving Corgi Otto Moe Beals; aunts, uncles and other family and friends. He was preceded in death by his father Mark Beals and grandfathers Joe Beals and Loren Bickham. A time to receive friends will be on Tuesday, December 11th from 1-3pm and 4:30-8pm at the Thompson Funeral Home on Main Street in Montpelier. A Celebration of Life will be on Wednesday, December 12th at 1pm at the funeral home with Ric Beals to officiate. In lieu of flowers the family requests that memorial contributions be made to the Chris Beals Memorial Fund, which will continue to support local causes, as his father’s memorial has done. Be the first to comment on "Christopher Beals (1987-2018)"